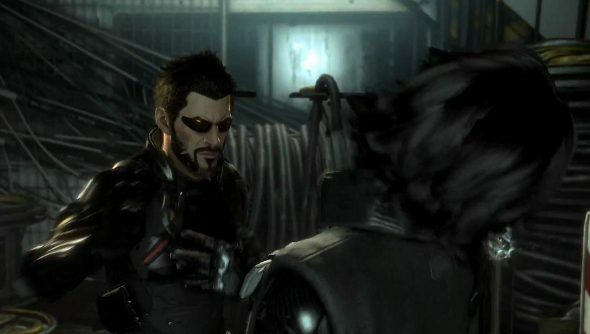 Another meaty demo video has slipped out of E3, this time following Deus Ex: Mankind Divided’s Adam Jensen through cutscenes, conversations and an infiltration that shows off both the quiet, stealthy and loud, explosive approaches. You can watch it below, but be warned: there’s a story spoiler between 18:25 and 22:20. I prefer playing Deus Ex using the non-lethal approach, but it’s going to be tempting to be a bit murderous when you can fire your nanoblade at people and pin their corpses to the walls. Oh well, that’s what a second playthrough is for. Deus Ex: Mankind Divided is due out next year.